After 8 years of relative peace in Chilligo, ATV’s have returned to the valley. 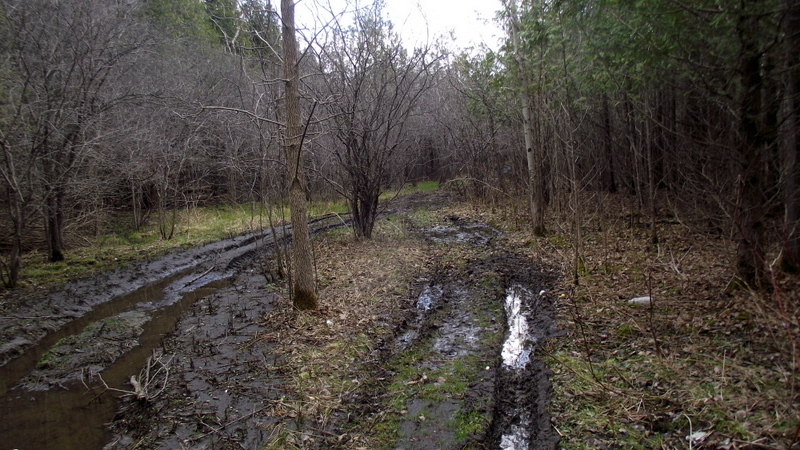 Yesterday it was discovered that some people have started to ride all terrain vehicles on Chilligo Conservation Area’s trails. In 2005 Chilligo was subject to intense destruction by a small group of locals riding ATV’s throughout the summer. 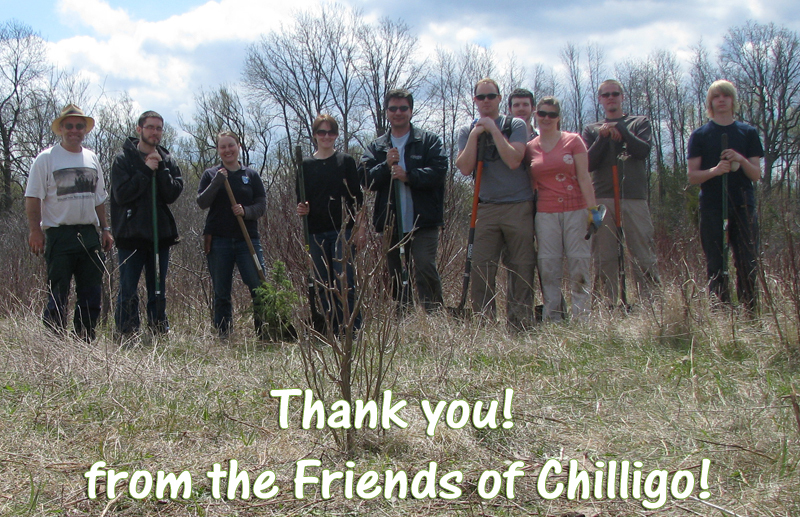 The Friends of Chilligo was formed in response to that destruction in order to protect the natural value that Chilligo provides our community and to protect the integrity of this thriving urban ecosystem. Through a media campaign, signage from the GRCA, and vocal persistence from our members, the message was eventually spread that riding in the valley is completely unacceptable. The experience of 2005 demonstrated how rapid and severe trail destruction will take place in Chilligo if this illegal activity is not quickly stopped. Motorized Vehicles are highly inappropriate in Chilligo because they destroy the trails for all other community members. 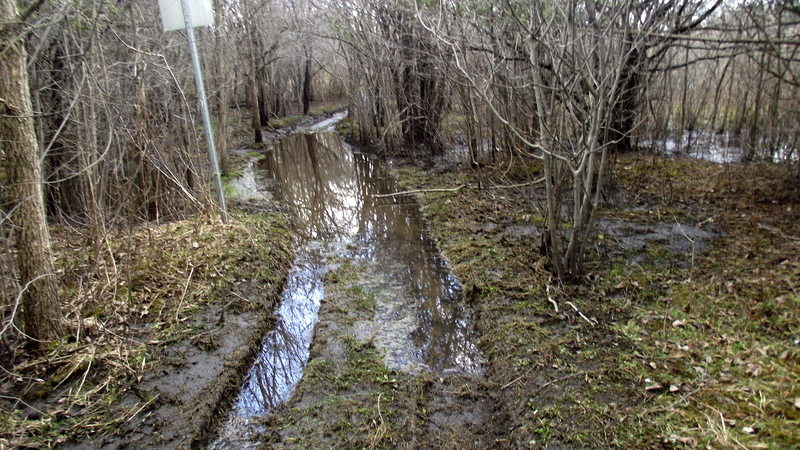 In addition, the sensitive creek ecosystem can become quickly damaged from the erosion caused by large machines. We encourage all community members to be vigilant and report all incidences of motorized vehicle usage within Chilligo’s boundaries. 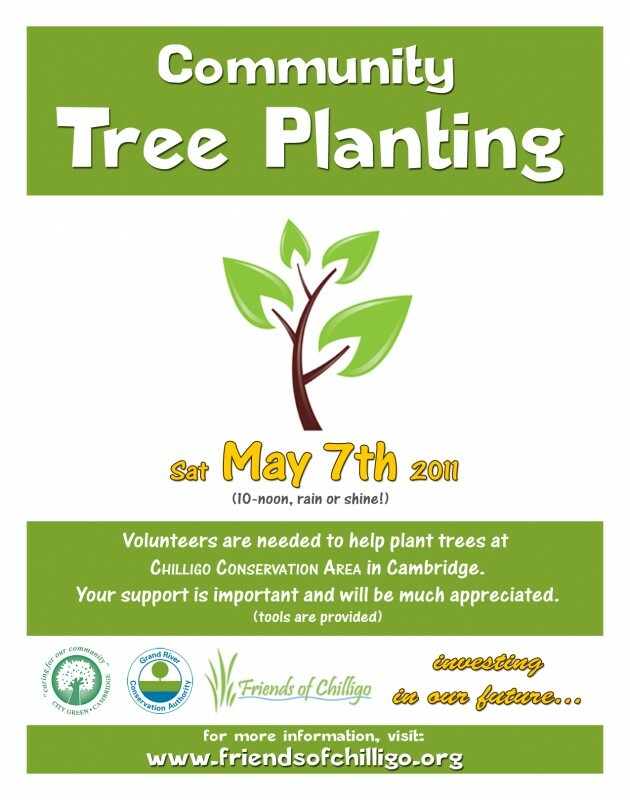 On Saturday May 7th 2011 from 10am to 12 noon, Cambridge Stewardship is putting on a tree planting day at the Chilligo Conservation Area. 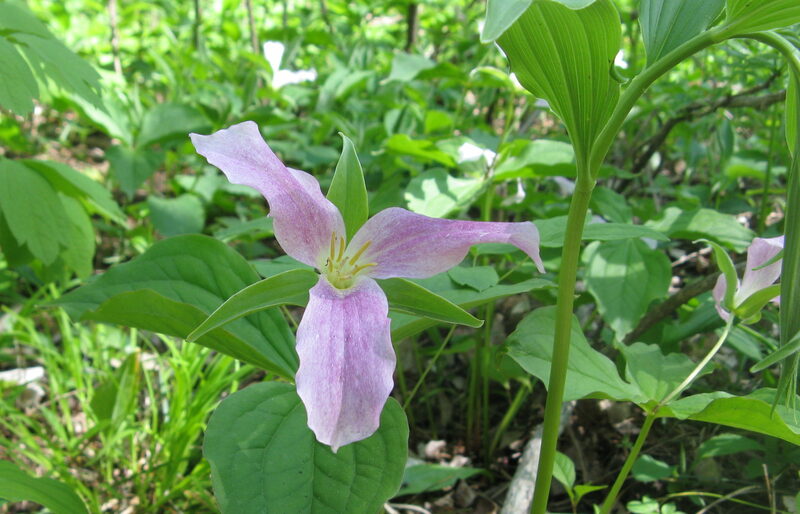 All are invited to come out to celebrate spring time in one of our most wonderful green spaces. Volunteers should ideally meet at the Sheffield St parking lot at 10am (google map link) – look for the Cambridge City Green trailer. We recommend that you bring appropriate clothing and boots for the weather. The planting will take place rain or shine. 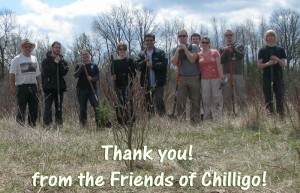 The Friends of Chilligo wish to thank all of the partners who contributed to this yearâ€™s tree planting project including the Friends of Chilligo volunteers, Cambridge City Green volunteers, Grand River Conservation Authority, City of Cambridge, TD Friends of the Environment Foundation, Cambridge & North Dumfries Community Foundation / Ages Foundation, and the Waterloo Stewardship Network.